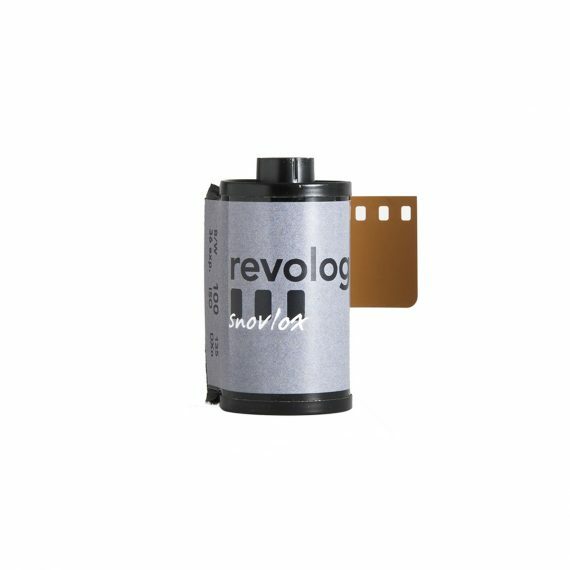 Revolog Snovlox | Beau Photo Supplies Inc.
Revolog film is a line of ‘re-animated’ film that results in different effects. Snovlox film has an effect similar to the Volvox film with the exception that this is a black and white film. The dots and sprinkles appear in all kinds of sizes and due to their white color the effect looks like snowflakes. This is a black and white negative film to be processed in black and white developer.